You will be wowed with the approach to this handsome 7, 000 square foot River Valley Ranch estate. This private, timeless designed home sits impressively on its own acre of impeccably maintained land and backs up to acres of additional natural, undisturbed additional acreage. The home's design features wrap around decks, covered outdoor dining, beautifully landscaped grounds, a stream, fire pit and unrivaled Mt. 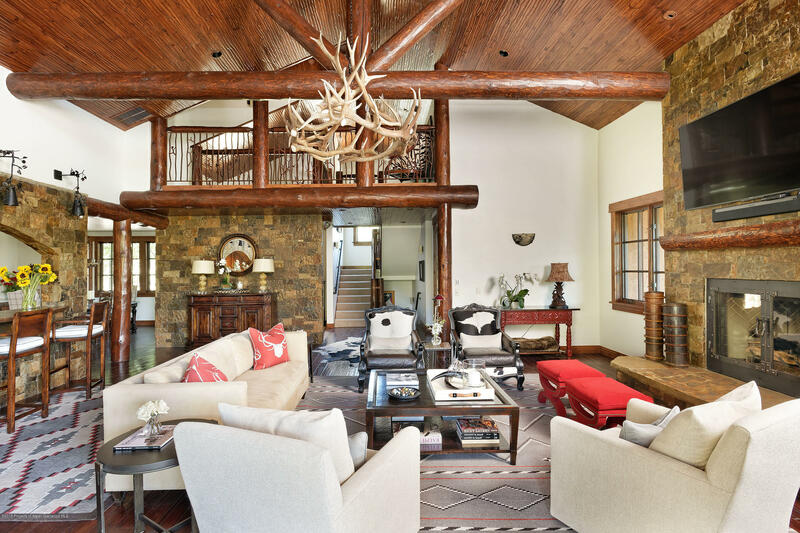 Sopris views all providing the homeowner and their guests the ultimate in an indoor/outdoor Rocky Mountain experience.The home's superior level of finish is apparent as you enter each room. There are various places for entertaining throughout the home. An open kitchen, dining room and great room compliment one another creating a great open space for the way families live today.